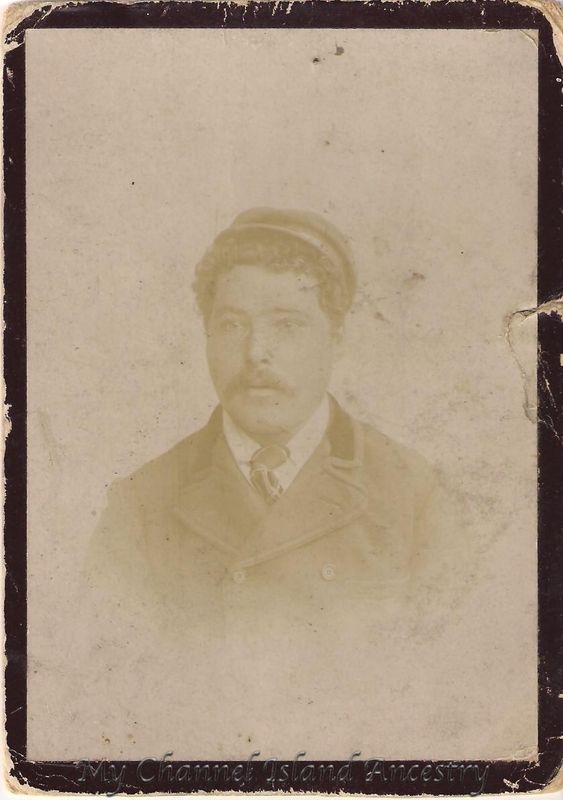 On the 23rd April 1866, my great great grandfather was born. John Lozuet the son of Jean Louis Desire Lozué (c.1840) and Elize Elizabeth Le Brocq (c.1841 – St. Ouen’s). 1866 – On the 23rd April John Lozuet is born in St. Ouen’s. The place of birth may have possibly been somewhere along Vinchelez Main Road where his grandparents lived and where John was living at the age of 15. He is the second child to Jean and Elize Lozué. John has an elder sister Eliza, born a year earlier. 1871 – John is 5 years old. Whereabouts unknown? He is not in the 1871 Census. Did he go to France to visit some of his father’s family? 1873-1875 John is aged 7 to 9. His name appears in the St. Ouen’s School log book. 1881 – John is 15 and working as a ‘Carpenter’. He is living somewhere along Vinchelez Main Road with his grandmother Eliza Le Brocq. She is a widow aged 65, and is the head of household. She is also an ‘annuitant’, which means she may have lived on money left from a will/estate/rent. John’s older sister Eliza is also at this address. John’s parents were either away, at work or dead when the census was taken. I have not been able to find them anywhere. 1891 – John is 25 years old. I can’t find him in any census. I believe he may have been travelling or already in America at this time. The photo above was taken possibly around this time. The photographers were Elite & Lotz of 838 Market St., San Francisco, California. The business was running until about 1906. I can’t find his future wife Clara Anna Mabey in any Census and I wonder if they travelled together at this time. But why to San Francisco? An uncle has suggested that maybe it was for a wedding as another couple from Jersey, Channel Islands were in the San Francisco marriage records at about this time. I would love to solve this mystery. 1897 – John’s daughter is born – Ada Florence Le Brocq Lozuet. Her birth is registered in the St. Helier Baptisms. John has moved out of the countryside and into town. Notice the mother’s maiden name ‘Le Brocq’ has been added as a middle name. This was quite common practise once upon a time. 1898 – John and Clara have a second daughter – Clara Eliza Lozuet (my great grandmother). 1898 – Nine months later (or the dates may be wrong) John and Clara have a third daughter – Violet Florence Mabey Lozuet. 1899 – Disaster strikes the Islanders as the Steamer ‘Stella’ sinks off the Minquier Islands near Alderney. Does this affect John at all? 1901 – John is 35 years old. He is back in the Jersey census working as a ‘Seaman’. He is living at 28 Don Road, St. Helier, Jersey with his wife Clara and their daughters: Ada, Clara and Violet. 1902 – John and Clara have their fourth daughter – Mabel Maud Lozuet. 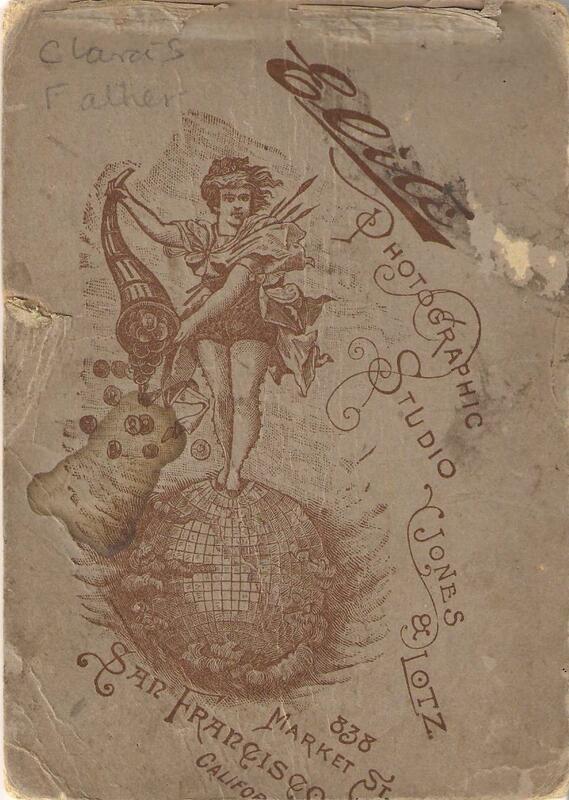 1902 – John is still working as a ‘Sailor’. 1907 – John and Clara have their fifth daughter – Elsie Lilian Lozuet. They are living at 3 Colomberie Cottages, Jersey. 1911 – John is 45 years old. He is living with his wife Clara and their five daughters at 1 Providence Lane, St. Helier, Jersey. he is now working as a foreman, but I don’t know where. 1914-1918 – World War 1. 1931 – John is living at 44 1/2 Clearview street, Jersey. He dies here of Pnemonie, Lobaire, Maladie du Coeur (Pneumonia/heart attack) at the age of 65. He is buried at Mont-a-L’Abbé Cemetery, Jersey. When do John Lozuet & Clara Anna Mabey get married? When and why does John get his photo taken in San Francisco? Was he working as a Seaman? Where is Clara Mabey when John dies? Has she died before him? If you feel you can contribute any more information I would love to hear from you. I hope you have found this interesting!